This Classic Sweet and Salty Snack Rises to a new level with the complex flavor, aroma and color that only Pure Maple Sugar can provide! We make our own right here on the farm in small batches using the finest gourmet popcorn, along with healthy and natural Canola Oil. Pure Vermont Maple Sugar and salt are added at just the right time in the popping process to coat the freshly popped kernels. 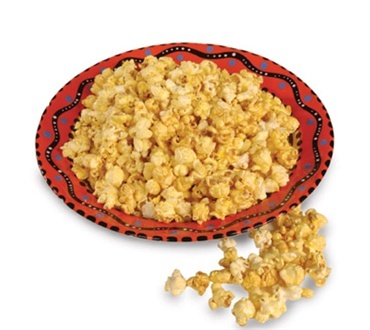 Our own special recipe maple kettle corn is far superior to the original recipe kettle corn made with only white sugar. It’s a perfect gift for business associates, the maple lover on your gift list or a maple sweet and salty treat for you and your family. Love Maple, love popcorn. Disappointed with this. Maybe this was just the last bag to be filled. Very few full popcorn pieces but lots of kernels and broken pieces. The flavor was there but had to pick through bag. Delicious! Subtle maple flavor. Can't stop eating it. disappointed in maple kettle corn. tasted burned. kernels so small & dry with unpopped kernels. I would not buy this again. Poor quality. I gave a bag to a friend & she agreed it was terrible. The popcorn was fresh and tasty. I mix it with my regular popcorn to make the maple popcorn last longer.